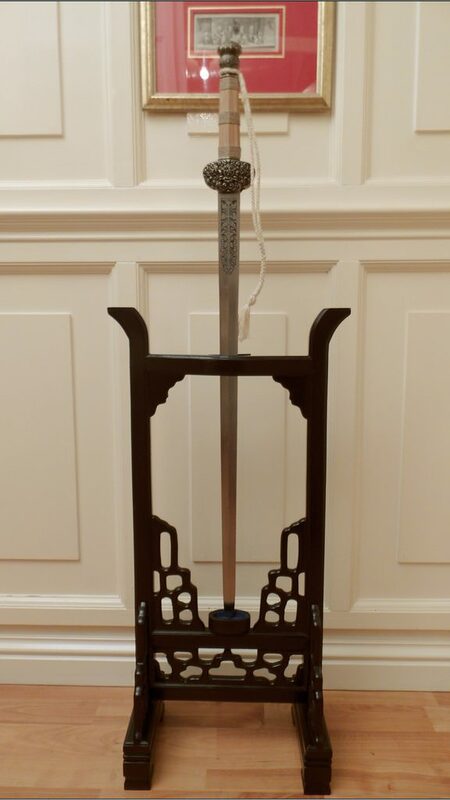 These days Hanwei Chinese Swords are all pretty much focused on blades like the Scott Rodell Cutting Jian or the Practical Gongfu Broadsword - pictured below.. 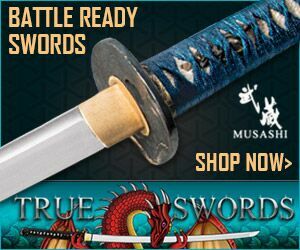 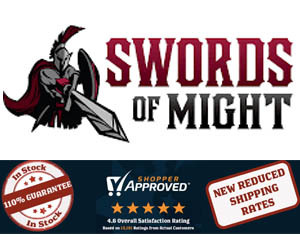 There is nothing wrong with these swords, indeed considering that most are priced well under $300 - they are a great alternative to the standard 'China town' style Wushu stuff that tends to flood the market at this kind of price point. 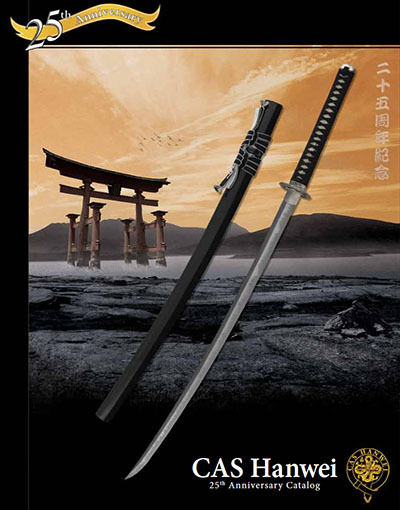 But back a few years ago, they tried their hand to produce some high end Chinese Swords with the same quality and attention to detail as their Katana..
Swords that looked - well, swords that looked something like THIS.. 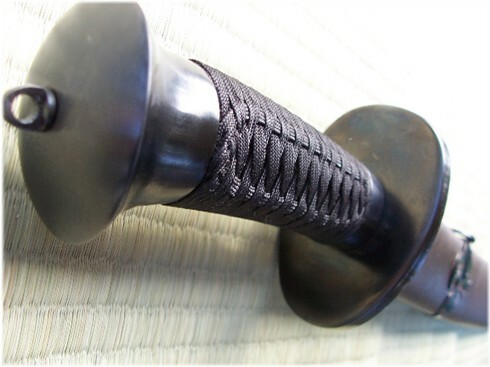 In many ways, it seemed that Chinese swords were entering a golden age. 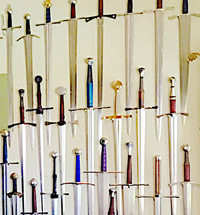 But in 2010, the sword market started taking a dive from a high point that it has never quite recovered from in terms of the diversity of sword types once available. 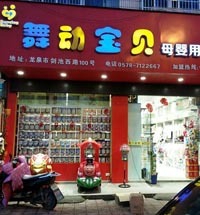 Which of course isn't bad.. 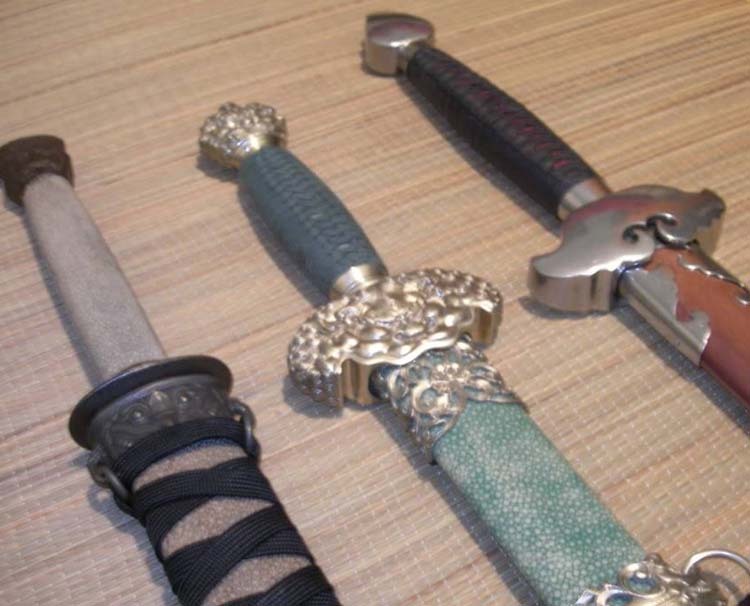 It's just that in 2010 - we were looking at swords like the Belie Dao.. 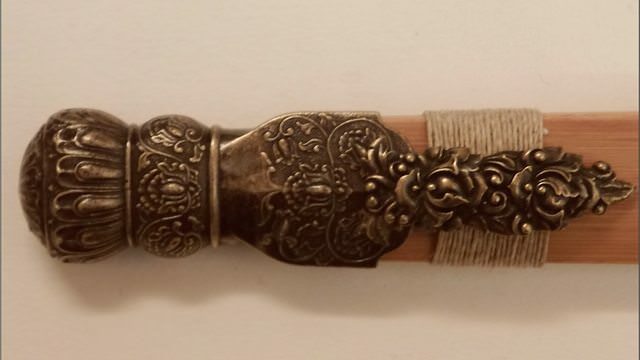 It certainly wasn't cheap, but it sure was beautiful.. 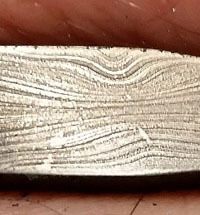 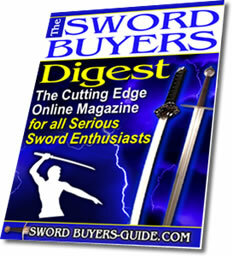 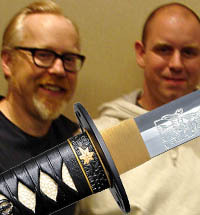 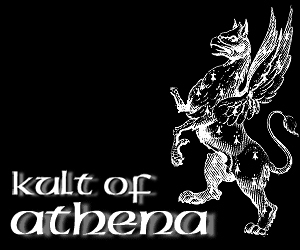 I cannot know for certain, but based on what I saw for the sword industry as a whole during the dark years that followed 2010 - collectors who had previously been branching out into every sword type retreated to the old 'Katana vs Longsword' camp - and with demand dried up, the supply soon followed suit.. 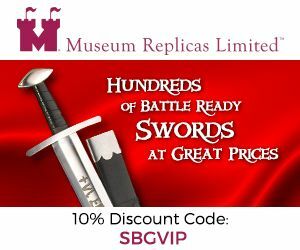 It really is a shame, as a lot of these swords were actually pretty nice quality and anyone that has one now is usually loathe to part with it - so in a sense they have become collectors items, though the market and demand for them still remains relatively small.. 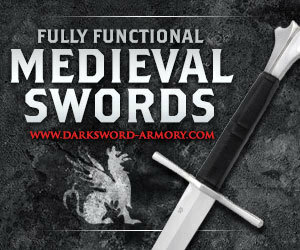 In addition to Chinese Hanwei Swords, Cold Steel even branched out in something a to a higher standard than their usual fairly simple,brutal sword styles with the Jade Lion Gim (Cantonese for Jian).. 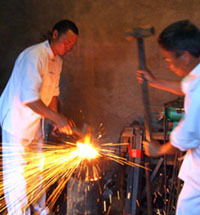 In some way a few years later we attempted to fill the gap with our Forge Direct line of high end traditional and ancient Chinese swords (and even came up with swords that go well beyond the Hanwei Chinese swords - which we can afford to offer only because they are made to order, while Hanwei were sold from stock - a much riskier proposition). 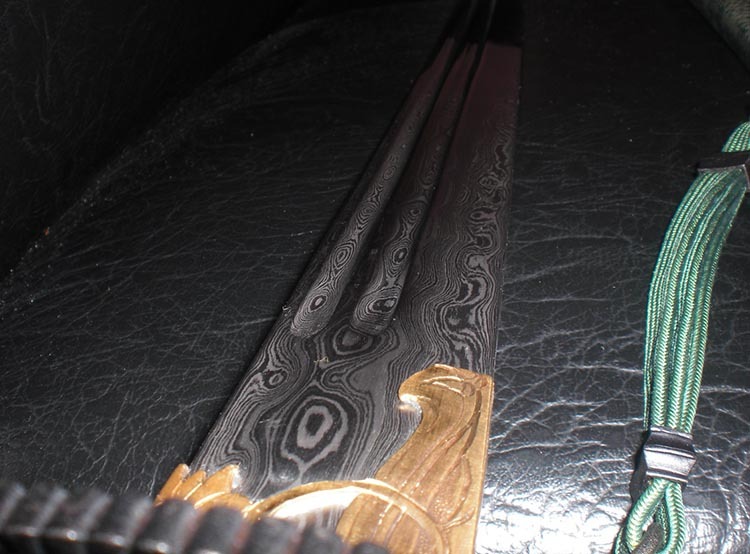 But perhaps that would not have been necessary had Hanwei managed to keep this exotic sword line growing and expanding.. Every time a good sword is discontinued, the sword market as a whole is poorer for it..